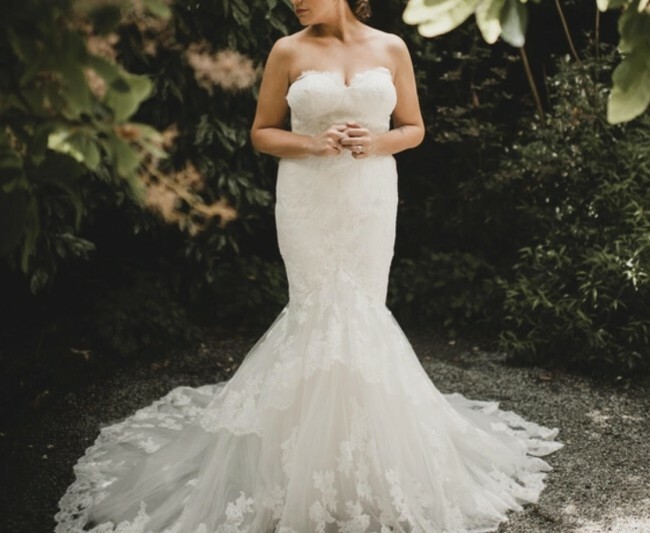 A low lace illusion back with pearl buttons and invisible zipper, paired with a romantic scalloped sweetheart neckline and lace bodice, creates a picture of timeless romance in this gorgeous gown with hem lace and a two-tiered tulle mermaid skirt. This dress is a size 12, however over $500 in alterations were made to this dress to make it closer to a size 8/10. Once you send a message, Allyson can invite you to purchase the dress.